Northern Powergrid is working to stop power cuts in the Rothbury area. Assurances have been given by Northern Powergrid that it is working to stop frequent power cuts which have plagued the Rothbury area. 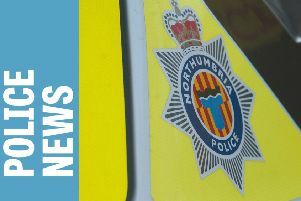 The latest incident happened on Tuesday morning, when 2,700 customers in the NE19, NE65 and NE66 postcodes suffered a ‘five minute’ outage. Rothbury county councillor Steven Bridgett has criticised the intermittent cuts, which he said has been going on for nearly two weeks, impacting businesses and causing the church clock to go caput again. A Northern Powergrid spokeswoman said that customers in the Rothbury area have been affected by a small number of short duration power cuts due to circuit breakers operating on its overhead power network in recent weeks. The company also said that some customers had experienced a power cut after the recent lightning storm caused damage to the overhead power network near Branton. She added: “We’re carrying out an overhead power line rebuild which will improve the reliability of supply to Rothbury and the surrounding area. “To enable this investment work to take place we’ve re-routed power supplies from an alternative part of our network while the work takes place. “We’re aware that customers have experienced a small number of short interruptions due to circuit breakers operating on that part of the network. “Our teams are working as quickly as possible and all work should be completed by Sunday, at which time we will return power supply back to its usual route, this should prevent any further disruption.